The performance of your car tires is critical to the safety, efficiency, and performance of your vehicle. Tires wear down and age with time. Poor performing car tires near Fairfax Station, VA that lose their traction and braking ability could cause an accident. What Does Your Car Tire's Tread Do? The primary function of tire tread is to divert water from beneath the tire to improve traction and avoid hydroplaning on wet roads. Your tire’s tread should never fall below l/16th of an inch. Once it does, your car tire is no longer safe. You can measure your tire tread by using a special tread depth indicator or gauge tool or take your vehicle to your tire dealer, and they will be glad to do it for you. Another way is the “penny test.” Place a penny upside down with Lincoln’s head facing you in the center of the tread at the thickest part of the tire. If Lincoln’s entire head is visible, you do not have enough tread. If you cannot see the hair on top of his head, your car tires should be fine. Newer car tires sold in the United States have what is called “tread wear bars.” These bars, built into the tire, are barely visible when your tires are new. As your tread wears down, these bars gradually appear as flat rubber bars that run perpendicular to the direction of the tread. 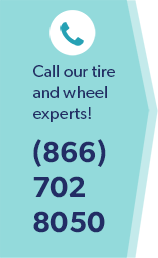 If you notice one or two of these bars, especially if these bars are flush with the tire’s tread, you need to take your vehicle to a car tire dealer near Fairfax Station, VA and get your tires replaced. Other problems including cracks in the sidewalls and bulges or blisters on your car’s tires should be looked into as well. These are issues that should not be overlooked. A weak spot in your tire could cause a sudden blowout near Fairfax Station, VA. Checking your car tires on a routine schedule can save you from what could be a major catastrophe on the road.